Immediately after landing in this beautiful city you get attacked by all the overwhelming heath, smells and colors. Taking the taxi on the airport is a special skill due to the fact that the price needs to be negotiated and the rate lowered for at least for one third. 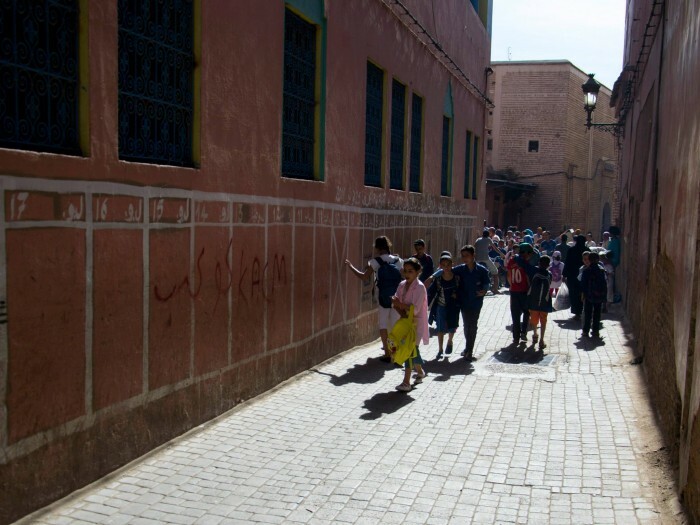 The best option to get a proper view of Marrakesh is to take a smaller hotel in old part of town called Medina. It is separated from the rest of the city by a large old wall and it offers inside view on how the city looked like in the old days. The streets are small and you can get lost easily. Main square is called Jemaa el-Fnaa and it is the heart of the old city. In the old days it was a place off the town executions but today it is a live touristic must see destination. By the day you can see all kind of performances intended to get as much money from the tourists as possible. Also a must see thing are the amazing souks that spread beyond the square. You can buy a lot of craft souvenirs here. Do not forget to bargain for the best price, but be cautious because the quality varies a lot. 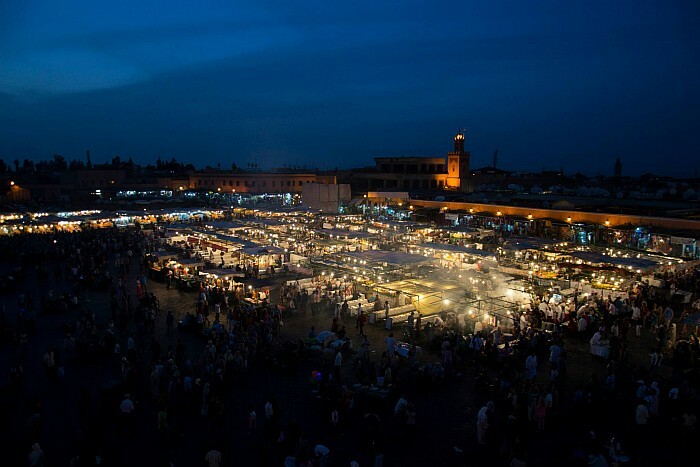 When the night lands on the square it turns to a big food market where you can try some of the local cuisine. The modern part of the city is not very different from any other oriental city. 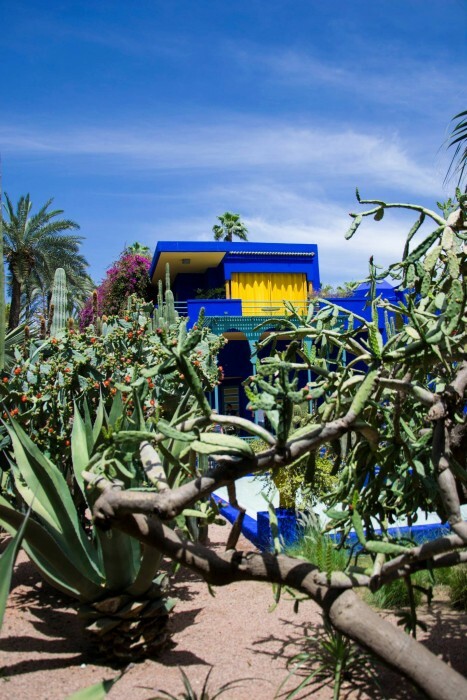 The only thing worth seeing is the former residence of designer Yves Saint Laurent called Jardin Majorelle. It includes a beautiful natural park with biggest cactus collection in the world. After a lot of long hours on the local bus we finally came to the city called Azzilal where we took a local taxi to the falls. The taxi ride was special because there were 7 of us in the old Mercedes Benz that already had 800.000 km on the meter. I will never forget this ride through the mountains. In the small village around the waterfalls you can find some nice small budget accommodations and all the place has a nice laid back vibe. You can also see the monkeys in their natural habitat but be aware because they learned some pickpocket trick and they may still your food or some other smaller things. 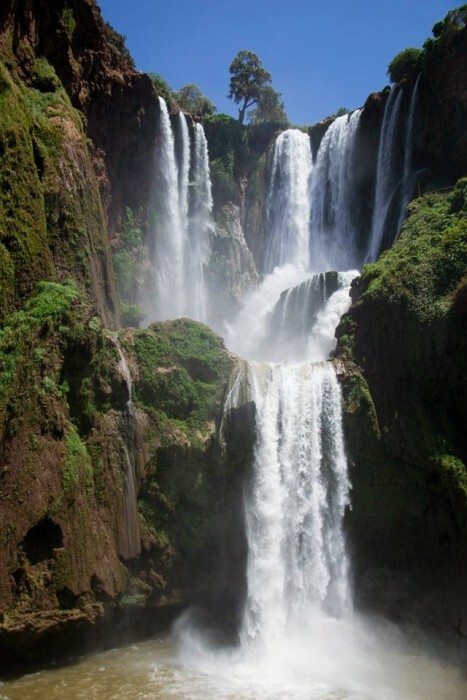 The waterfalls are magical and you can see that the water is a strong force of nature. 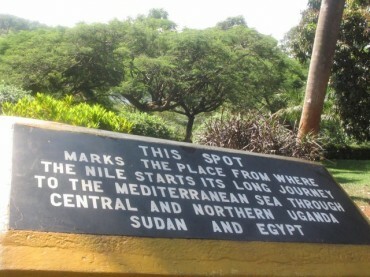 In the past this sea harbor was very important stop on the trading route of many merchant ships. The city was specially known for Tyrian purple factory. The locals were processing the murex shells to gain the purple color which was used for coloring the fancy Roman togas. Today the city is more orientated on the tourism and fishing industry. You can eat some nice fresh seafood for a very low price on the main pier. It is supposedly the windiest city in Africa and we can confirm that the wind is really strong and it does not stop during the day. 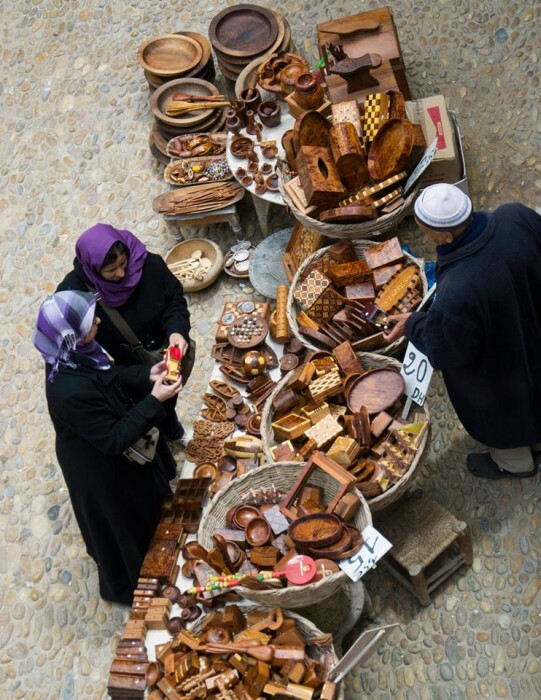 The best option is to hide in the city narrow streets where you can find some nice shops too but be aware that the prices are higher than in Marrakesh. This is the main touristic sea city destination which caters mostly for the package holidays. 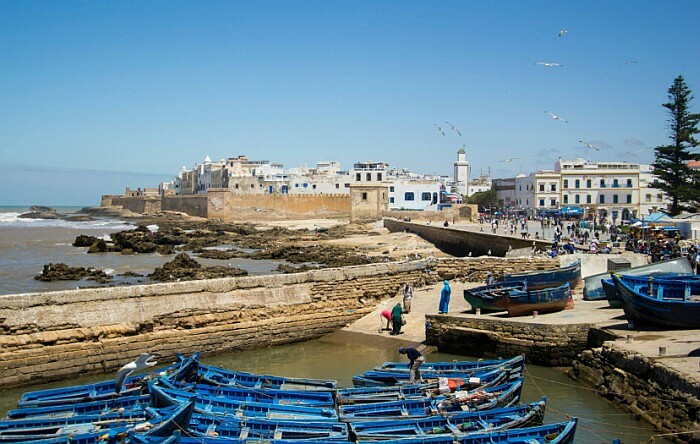 The city is filled with chain hotels and the prices are higher than in the rest of Morocco. The city has developed to this level because it has one of the best natural bays which is protected from the ocean impact. It is easier to swim here due to the fact that the waves are not that high. The city provides a free zoo where you can see all the Moroccan endemic animals and also some other species. 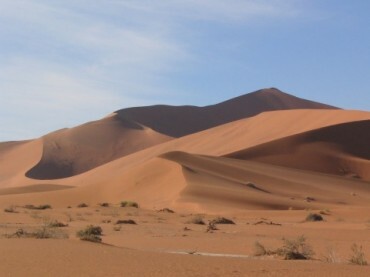 We decided that we will take our journey to the south of Morocco and visit some less touristic places. The small town of Sidi Ifni is not special to any way but you can get genuine feeling how the locals live. We traveled outside main season so the town was nearly empty. We drove to the surrounding villages and tried to experience some local vibe. The best thing to see in this area is certainly the Legzira beach. 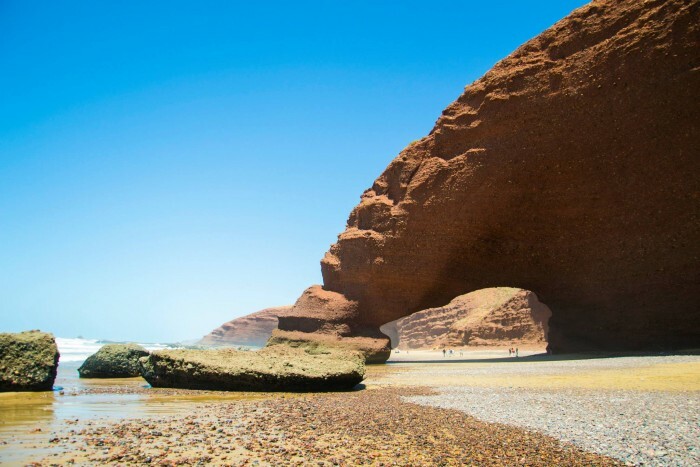 It features two natural stone arches that spread over the sea and the colors are amazing. The site is more popular with the locals and we did not see many tourists here. The place is well hidden and apart from 2 restaurants there is nothing else there. 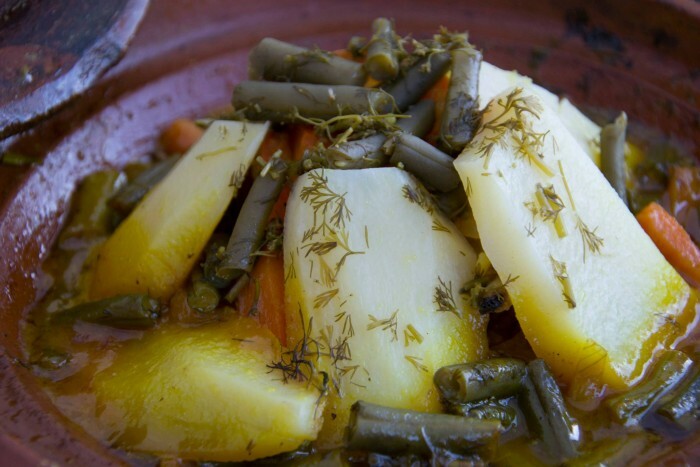 Morocco is more than sand dunes and camels. Morocco is full of great landscapes and nice people. You can get lost in the history if you want, but you can still have a taste of modern life if you need it. It is hard to cover everything in one trip and we will visit this great country again for sure. 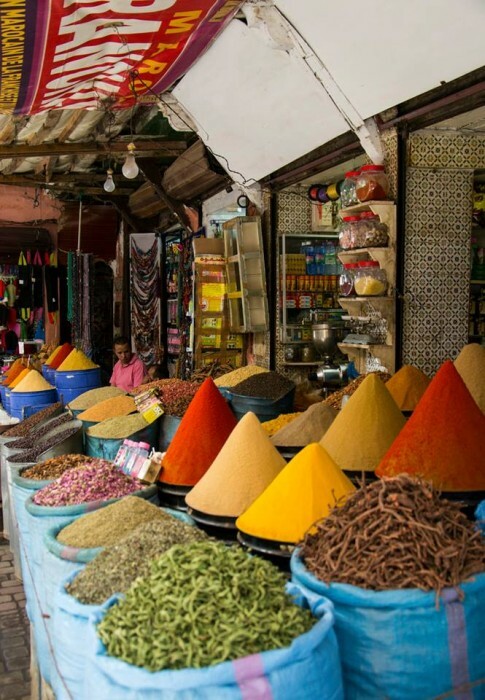 This post brought me so many wonderful memories on my Morocco travel, not to mention I want to go there again. 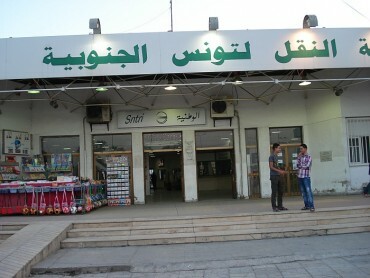 I am eager to visit the Sidi Ifni and Legzira beach for ages. This place looks awesome!